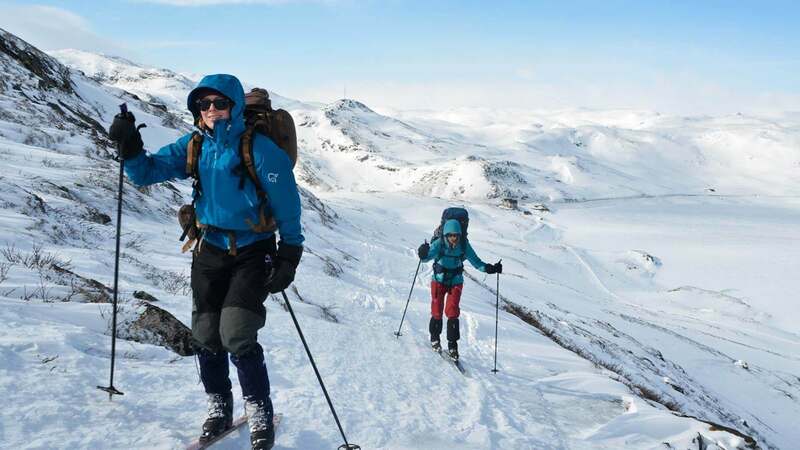 Skiing Jotunheimen Norway. The cross-country skiing area in Norway that hosts the annual World Cup. The sloping forest trails and the panoramic plateau define this first-class area for nature lovers and die-hards. Beitostølen gives beginners a red carpet welcome, offering the perfect surrounding for starting skiers. But this village by the foot of the Jotunheim, the highest mountain range in Norway, offers more attractive options for a great holiday in the snow. The varied skiing area with its special Telemark ski runs, a snowboard park and a kinder skiing area is the primary Carving Centre. Good news for skiers, who fancy more sensation. For even more variation the ski bus will take you to the area of Raudalen. On 210 days a year this wide scenery is covered with snow, offering a wonderful setting for a husky dog sleigh ride or for horseback riding. The wheezing and snorting of the animals is the only sound you will hear. A truly memorable wintry experience. The ski area has: 9 lifts, 15 ski runs, green 2, blue 5, red 5, black 3. The l biggest difference in height is 315 meters. 320 km of marked cross country ski runs, of which 6,5 km illuminated, 1 half pipe snowboard park. Après-ski, 9 bars and discotheques, 5 restaurants. Activities are: Dog sled rides, horse drawn sleigh rides, ice fishing, ice climbing, swimming and shopping. All activities can be booked with us!